Thread: Customs blocked a vamo v5.. Why? My friend ordered this kit through eBay he's new to it all but jumped strate into buying his first mod after deciding his ego wasn't enough. It's a vamo v5 starter kit from a us seller after eagerly waiting he's met with a message through eBay saying that it's been stopped by customs as his parcel contains items restricted for import into Australia. 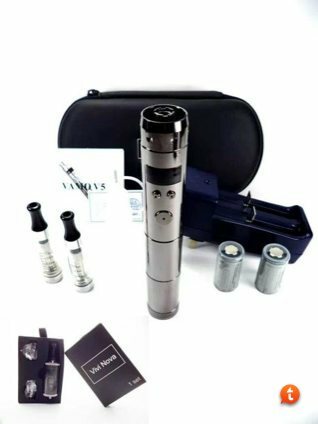 What is restricted about a vamo v5 starter kit? Why would this get stopped?? Maybe they had no idea what it was?? Anyone got any input? Crisscross and rebelagainstthemachine like this. Does ebay have a policy on ecigs. And is the kit the only thing in the package. i guess they may have contacted vendor and he doesn't know what to do? I'm not sure if anyone else ordered this tank but this is part of the email I got from Ebay...after paying and receiving the note that it had shipped. "We're writing to let you know that your recent purchase of Aspire Nautilus Replacement tank, Stainless Steel With Grooves through the Global Shipping Program couldn't be delivered to you because the parcel contained items that were found to be restricted for import to AU." They issued a refund but I lost the $25 on postage. This also happened with a Smoktech Magneto. which I managed to get locally in the end. For the op it doesn't seem like an ebay restriction as it already been shipped and "Been stopped at customs" It could be a couple of issues with customs. The batteries, and they have x rayed the parcel and it looks like a hand held lazer. I am guessing its Australia customs?? Mushman and avtek like this. Mushman and maggie like this.